What is more famous in Ourense than Las Burgas? Tres cousas hai en Ourense / que non as hai en España, / o Santo Cristo, a Ponte, / e as Burgas fervendo auga. It is about springs with about two thousand years of history that are located in its old town and that gave name to which today is the city. And it is here that was born one of the most important Roman settlements in Galicia, “Aquis Aurienses” (“golden waters”). Here, water flows from the earth at a temperature of around 60 ° C (in some cases reaching 67 ° C), which has given rise to numerous legends about its origin. There are those who say that they are born under the chapel of Santo Cristo and some people maintain that the origin is in a volcano located under the botanical park of Montealegre. There is also talk of an indigenous divinity, Revve Anabaraego, who would be responsible for both the flow of these waters and their therapeutic properties. Anyway, the fact is that today they are visited by thousands of people in search of the sensations that were enjoyed by the first settlers of this city. Currently there are three thermal springs that can be visited in the city: Burga de Arriba, Burga do Medio and Burga de Abaixo, the first one being the oldest (dates from the 17th century) and the last one most recent (19th century). 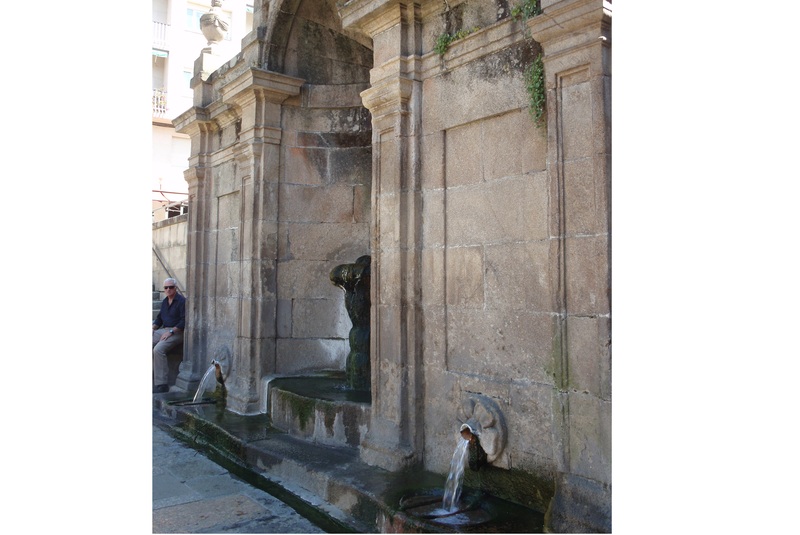 In addition, next to them is a historical set of Roman “aras” discovered over the years in the city, dedicated to the goddesses of the fountains and the nymphs. In them, engraved names appear from the most varied places of the Roman West, so today we know that this was a centre of pilgrimages years ago. After the numerous excavations that took place in the zone, they also have recovered the rest of a swimming-sanctuary from around the first century. Formerly, these waters were used as personal hot water for the inhabitants of the surrounding houses or for the small industries of artisans who settled there. Over the years, however, would be given most vaired uses. Thus, they have had medicinal and religious as well as playful purposes. They were also a place of passage on the Camino de Santiago, and the pilgrims used to stop here to wash and heal their wounds. Today, just behind the original fountains, there is a pool-spa of more than two hundred square meters that feeds on these waters and has the most modern facilities in terms of changing rooms, toilets, lockers or deck chairs. So, free of charge, one can enjoy the experience of being in the middle of a big city, between streets full of people and almost at the foot of the cathedral, bathing in the heat of the thermal water. It is, at least, curious. Such is the relevance of the Burgas that, in 1975, these springs received the declaration of Artistic Historical Complex and, in 2007, the title of Good of Cultural Interest by the Xunta de Galicia. It is not surprising, therefore, that the city of Ourense is more commonly known as the “City of Burgas” than by its own name.